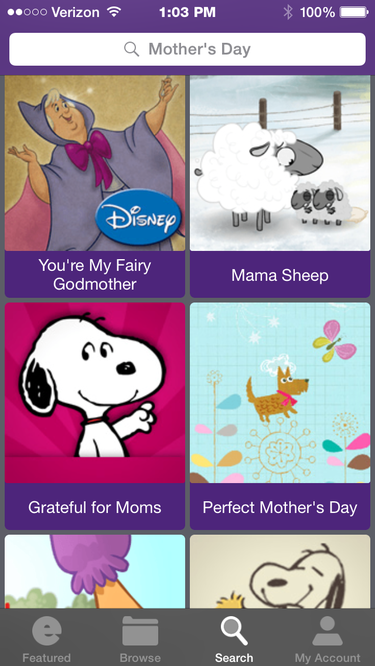 A sample of Hallmark's ecard app. 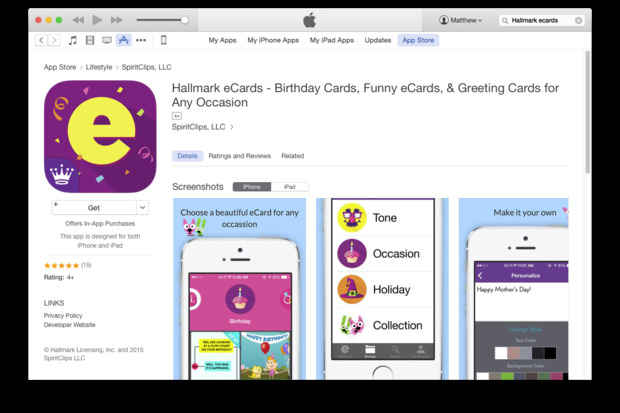 There are hundreds of apps for iOS in the App Store that appear under a search for "greeting card" apps that could potentially compete against Hallmark. But Hallmark is banking on its long history in the greeting card business and exclusive art featuring Snoopy and Star Wars images, among others, to stand out. "With our high level of animation and artwork, you won't see as good a user experience [elsewhere]," Kessler claimed. While the app itself is free, a subscription is required to be able to send an unlimited number of ecards. A one-year subscription is $18, while a one-month subscription costs $5 — the same price as the Web-based desktop Hallmark eCard. With so many people accessing the Web from smartphones and tablets, it simply makes sense for Hallmark to have a native app for such devices, said Jack Gold, an analyst at J. Gold Associates. "Millennials buy a lot fewer paper cards at the store than older generations do and catering to the next-generation market is a sensible way to make sure you are still in business in 10 to 20 years," he added.